I finished The Intrepid Way in two days, and just finished your Lease-Options book this evening (started it on Thursday). Thank you for sharing your perspective, insights, and experience in your writings. I wish I had these books, or least the mindset back in my early twenties! But I do feel revitalized in my outlook on life, and thanks to your books, I feel more free than I ever had. 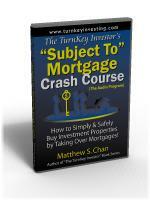 I haven’t started investing in properties yet, but I will in the near future. I’ve recommended your books to my girlfriend and friends. I have no doubt that they will find the info as useful as I have. 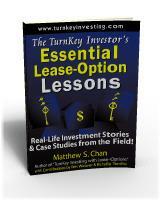 I actually was a big fan of using lease-options before I ever read this book. 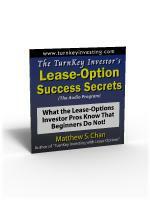 I thought i knew it all when it came to lease options and the different ways to buy properties using this method. Well, guess what…I was very wrong. I actually found this book by accident and decided to give it try. 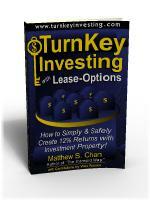 I mean another book on lease options…WOW. Then I started reading the first page, the first page became the 7th page and so on. Next thing you know I was reading the entire book. This book has changed my life and my business. I am a fellow investor and the information from this book changed the way i looked at lease options. 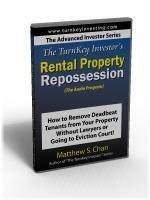 Matthews book shows you exactly why they are #1 for lease options in there area. His ideas are cutting edge, yet explained so that a 5 year old can understand them. 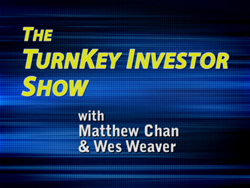 Unlike many writers who claim to be investors, Matthew is an investor turned writer. 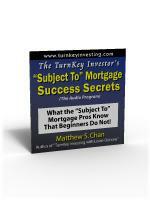 One of the best features I found was that Matthew broke down the mindset of different teants. 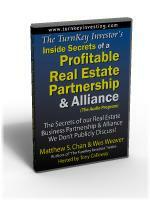 By knowing the mindset of your tenant this gives you a huge advantage of the competition. This book helped me to reach a new level of understanding and a new level for my business. If he keeps writing books like this then he may have to start a fan club. So, in ending if you want a book that shows in detail the art of selling on a lease option and creating a steady cash flow every month, then please check this book out. I promise you will love it and if you don’t then you have missed out.